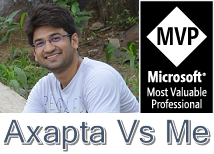 What is the difference between fetch() in send() in axapta? What is the difference between pack() and unpack()? What are different kinds of delete actions available in Ax?What does cascade+restricted do?What is the difference between restricted and cascade + restricted? What is abstract class?Name some abstract classes in axapta? What is interface?Does Axapta support multiple inheritance?Name some interface classes in axapta? How many kinds of join are there in axapta? What is lookup?How many kinds of lookup can be done in axapta? What is the utility of jumpref()? Which class is called while sales order invoicing? What is the use of temporary table in axapta? What is the difference between Abstarct and interface? Which Objects in Axapta obtain ID? What is Map?How can we use it? What is Cache Lookup Property? What does the RunOn property of Class do?